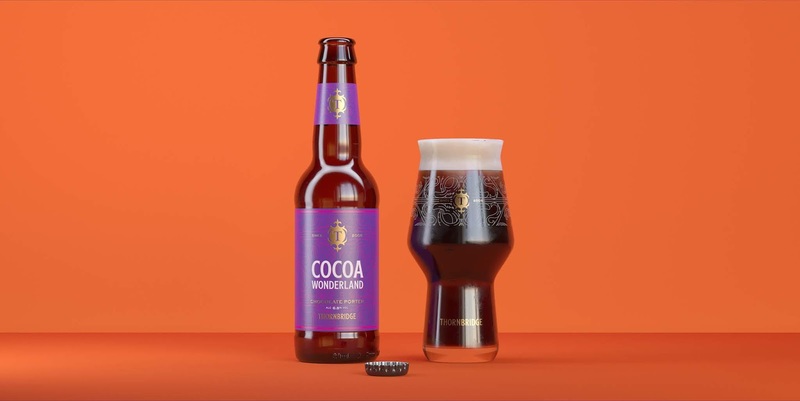 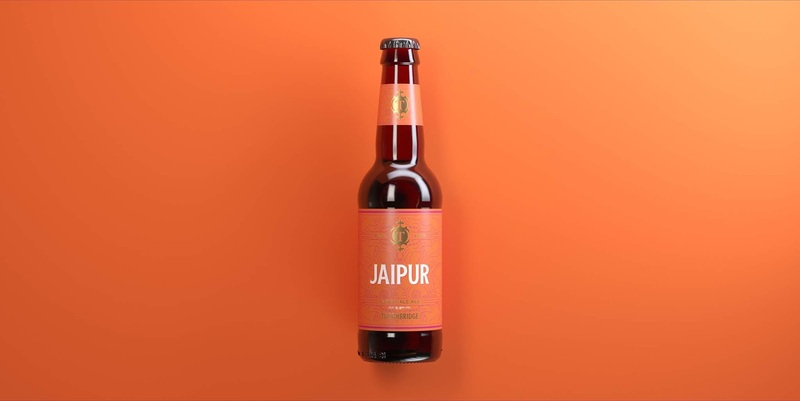 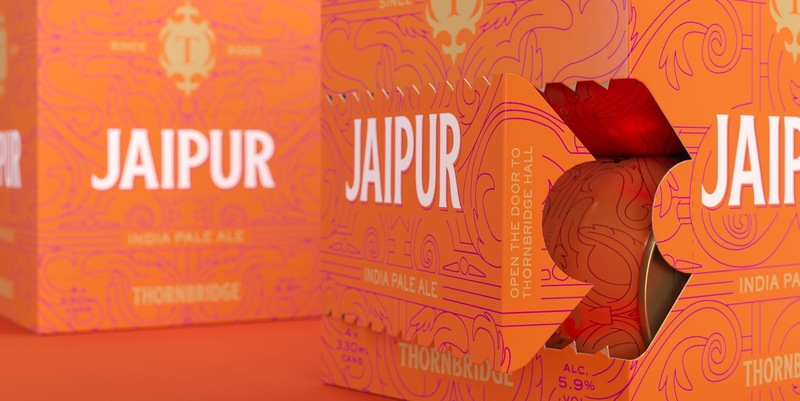 Having conducted a tour of supermarket shelves with the client, Thirst knew Thornbridge needed to monopolise on their ‘recent heritage’ to stand strong in the face of wild, young craft breweries. 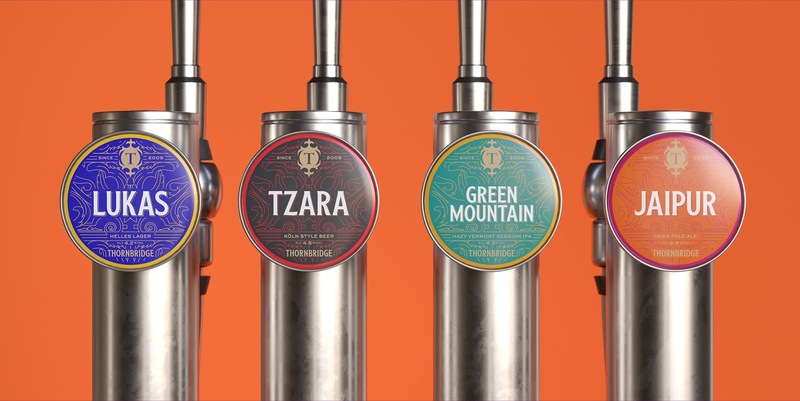 By rationalising and leveraging their long established equities Thirst set out to reestablish Thornbridge as a beacon of British brewing. 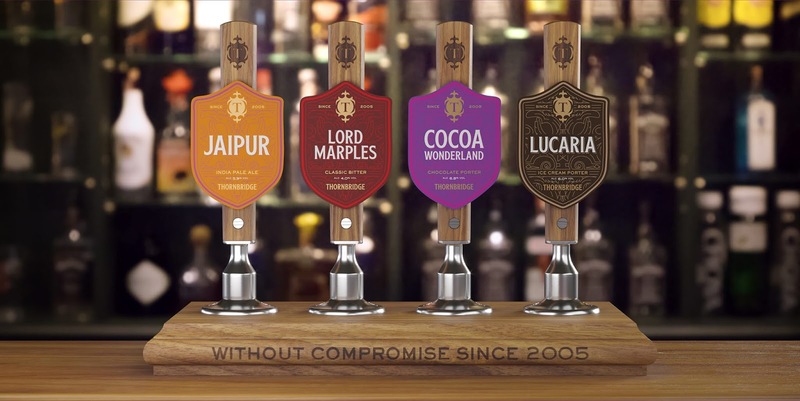 To uncover the story behind their existing assets, Thirst started where Thornbridge had back in 2005; the beautiful Thornbridge Hall. 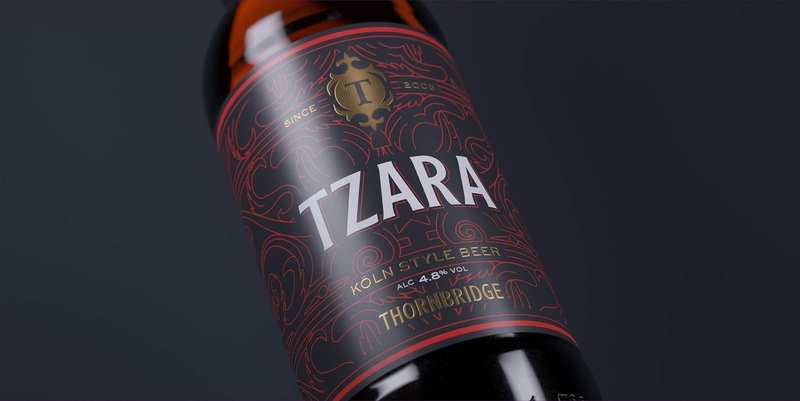 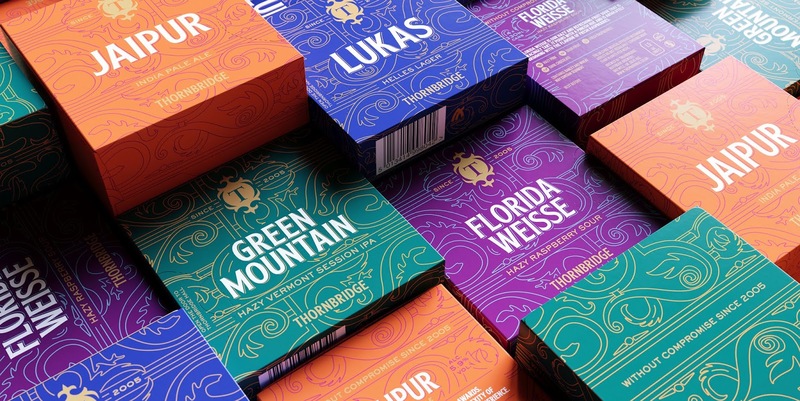 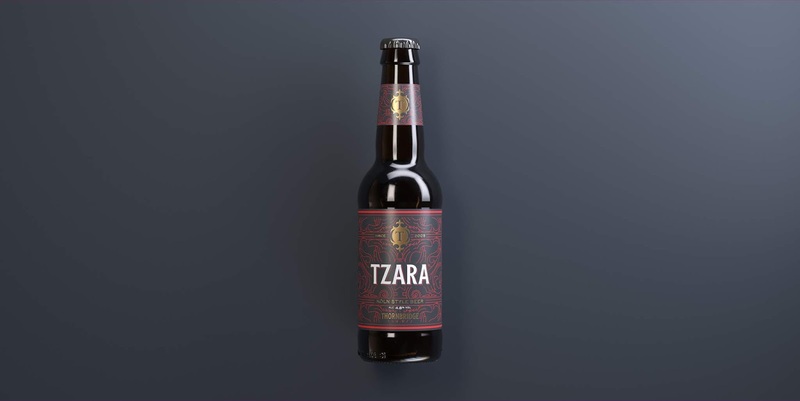 Pattern was a core part of Thornbridge’s brand, but the existing motif felt unrefined and generic. 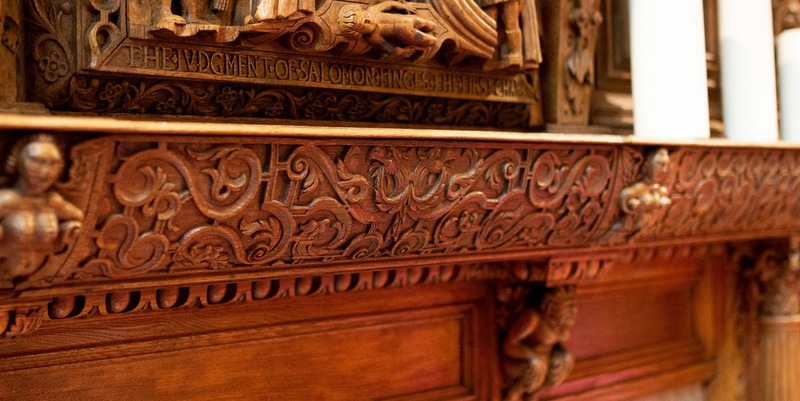 While walking the grounds and corridors of the Hall, Thirst found inspiration in the decorative detail of a mantelpiece above the fire. 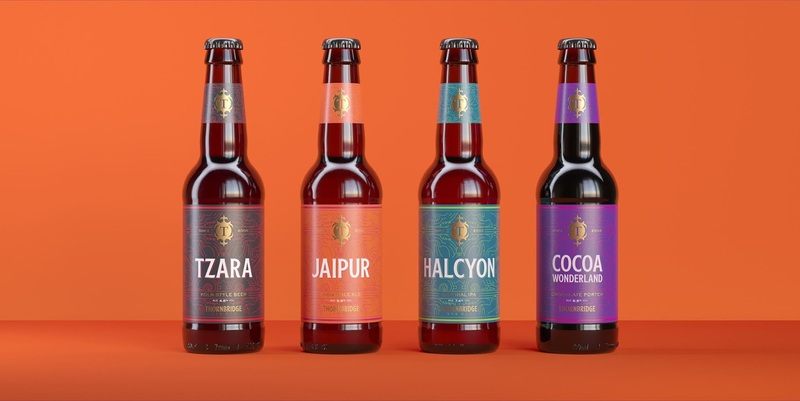 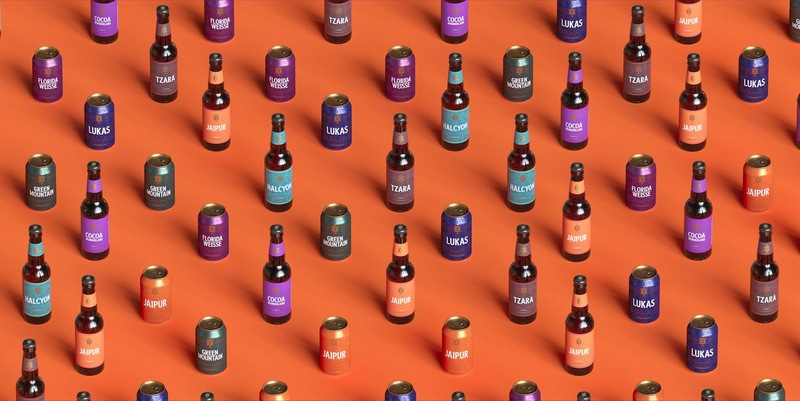 They converted this into a bespoke pattern to unite the full brand family, merging Thornbridge’s classic monogram and bold colour palettes to borrow from the visual language of other classic British brands. 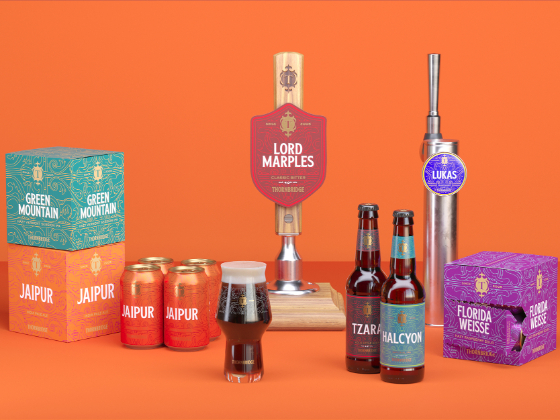 Simple, sophisticated and stand out, this redesign opens the doors to Thornbridge Hall, allowing every consumer to hold a piece of the brewery’s heritage in their hands. 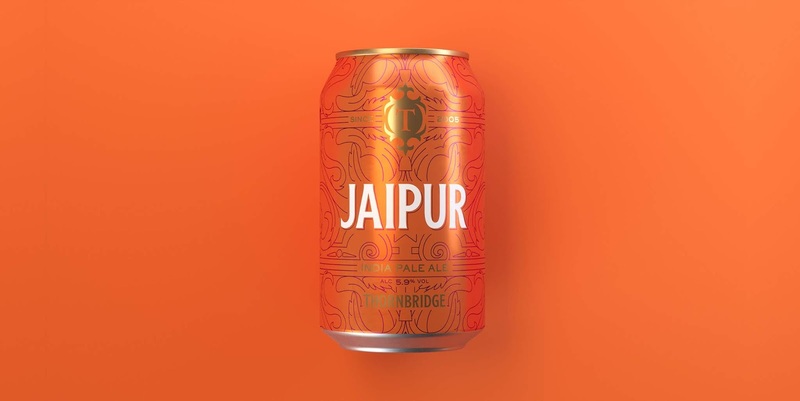 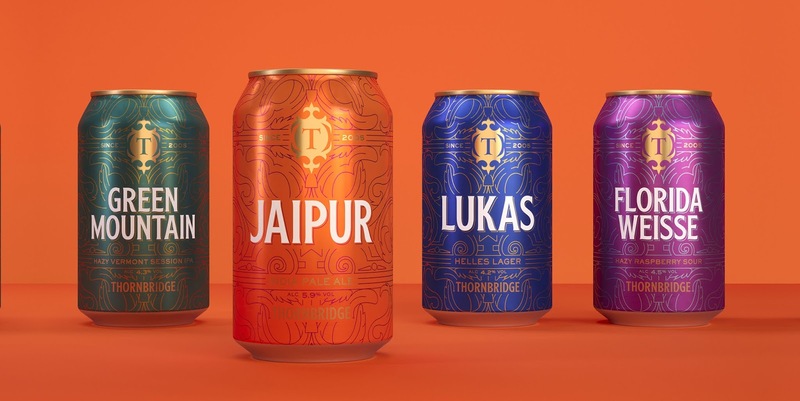 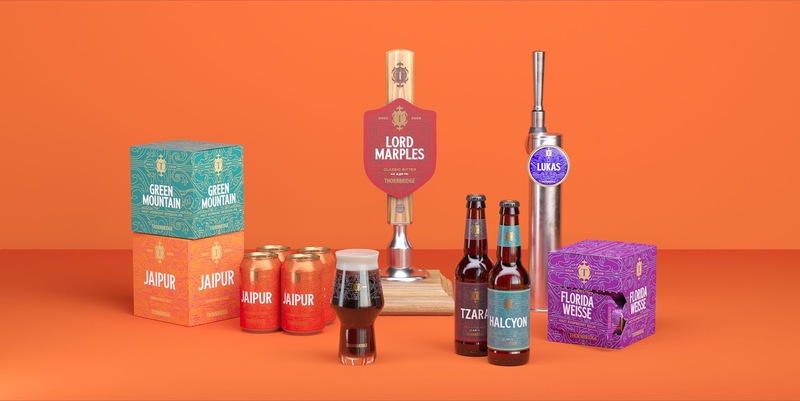 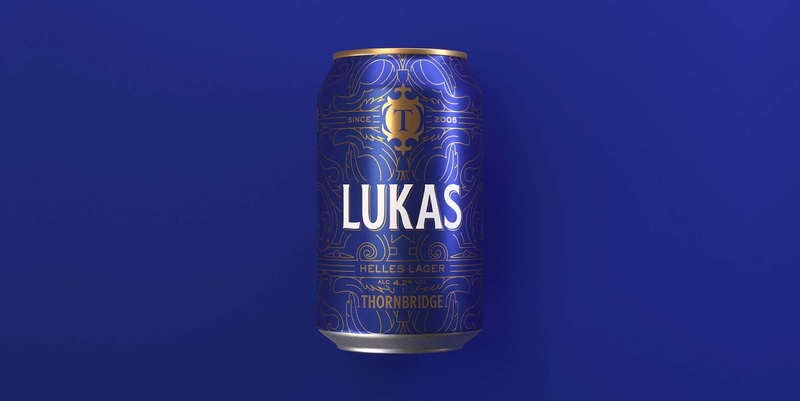 Rolling out across bottle, can, keg and merch the rebrand has aged Thornbridge gracefully and successfully, with the cans selling out before they had even been produced.